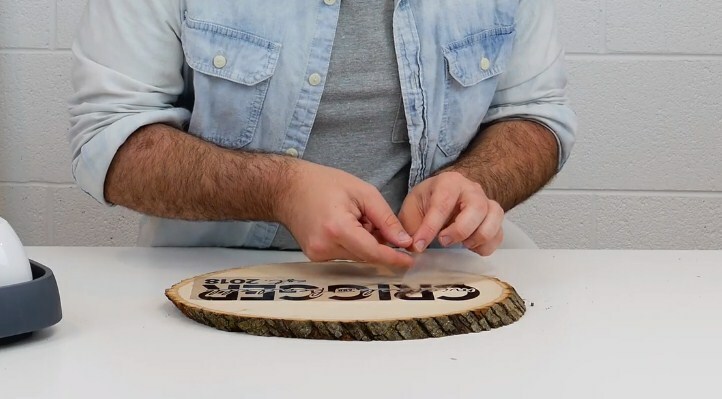 A lot of you might be wondering if it’s really possible to create some awesome DIYs on wood. 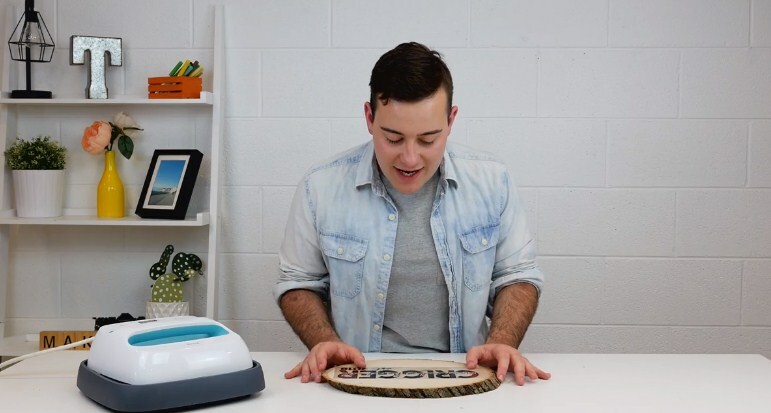 So today, I am so excited to share with you on How To Iron On Wood. 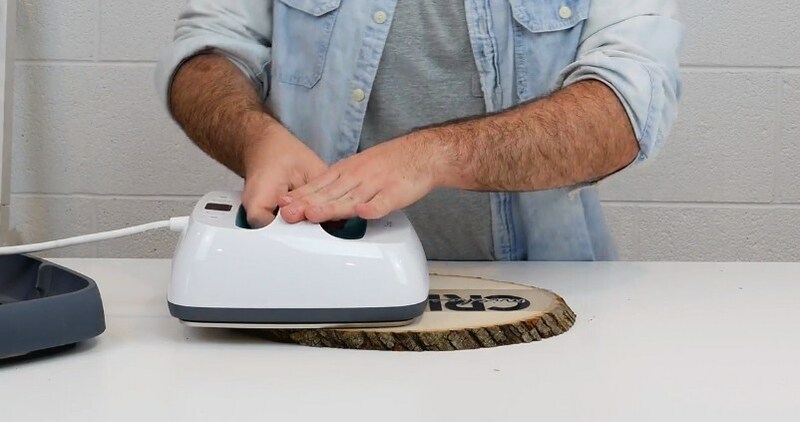 It is such a huge thing going around and if you’re looking for tips and tricks on how to perfectly iron off wood this tutorial will definitely help you out. First, we’ve got our piece weeded out and what we’re going to do is to put it on a piece of slab wood. You can find this at Michael’s or your local craft store, there’s so many of these and I love them! They’re super trendy and perfect for anything. The main reason why I love using this with my Cricut EasyPress and Iron-on is when you fill this it’s super smooth and it’s going to be perfect for anything that you’re going to want to Iron on wood. What we’re going to do is pre-heat your EasyPress to 340 degrees and your tip timer for 30 seconds. It would be a little challenging trying to position your transfer tape on the wood slab because the wood slab is not a perfect circle so what you want to do is to make sure you look at it right and we’re going to make sure we’re happy with it. We’re now going to grab our EasyPress that is already pre-heated and we’re going to start on one side and we’re going to press it. 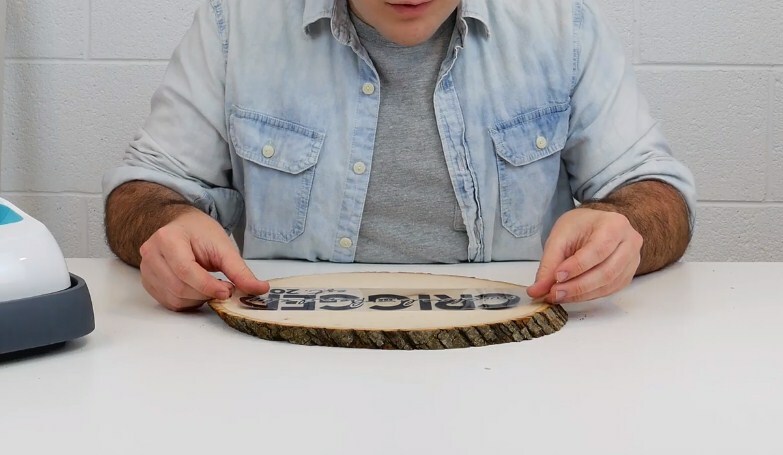 And just like that, you have an amazing Iron-on piece you’re going to love. 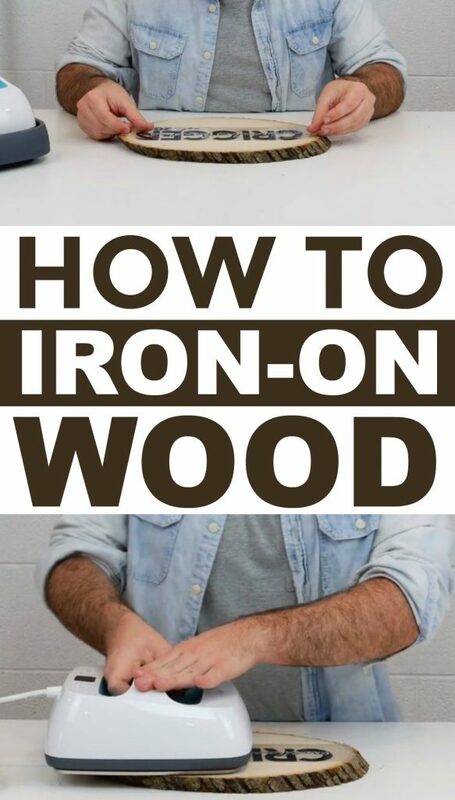 How easy is it to Iron on wood? It’s not intimidating you just have to have the right tools and make sure that you don’t overheat the wood it’s like just curls up on you if you let it overheat. Be sure to join us at makersgonnalearn.com for exclusive die-cutting files, tips, and tricks exclusive live streams and a lot more! How do you make the iron on itself? You must buy it. It is also known as HTV some places. Hope that helps. Hi, so I read the article and watched your video – very cool! Maybe I missed it, but what IS the material you used that you ironed on? You said it was all weeded, but what specifically is it? We are using Iron On Vinyl also known as HTV! Can you seal the wood after you put your vinyl on? Can you use an iron? Yes, an Easy Press distributes the heat more evenly. This is awesome!!! Thank you. 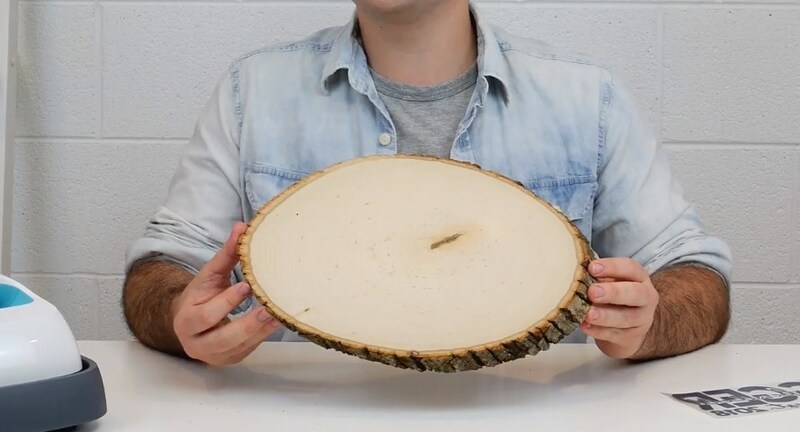 Hi what would you seal the piece of wood with so it’s food friendly. I think Dishwasher Safe Mod Podge would work great for that! Can you do this with a regular iron. Yes, but irons distribute uneven heat and decrease your chances of success with your project. I need to know how you did the design! Could you just use a heat press? Would this work on painted wood? It depends on the paint! What when i want to use my own text ? 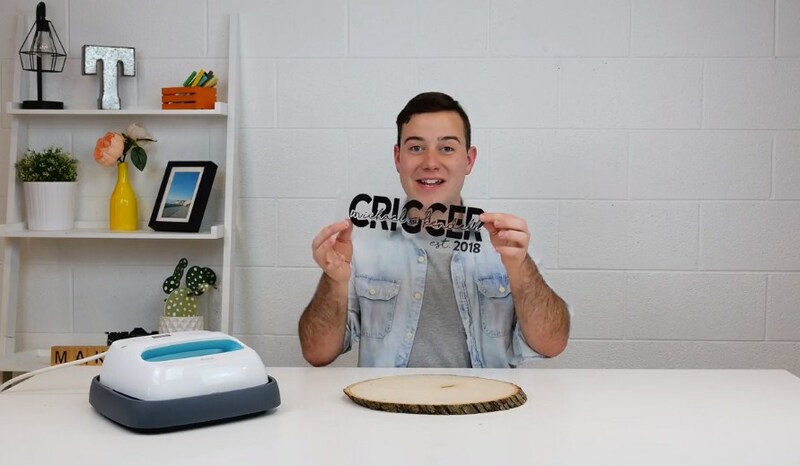 You can use your own text in Cricut Design Space! Can this be done on wood that is already stained? Yes, as long as it is dry!